Multirip, ripsaw, and crosscut circular saw blades.saw blades from Wood-Mizer cover just about every sawing application – for wet or dry softwoods and hardwoods, as well as tropical hardwoods and panels. Our blades are covered with an anti-friction coating, which protects the blade against surface build up and over-heating. 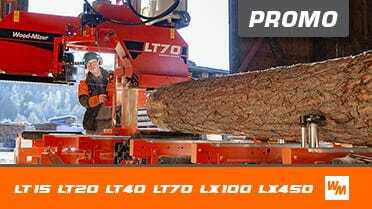 Get circular blades for your Swing-style Sawmill directly from Wood-Mizer.